It’s no secret that the battle against ad fraud is one that’s ongoing. In recent years, the industry has been plagued with concerning headlines on how ad fraud is impacting marketing to the tune of billions of dollars. Regardless of the platform and source, the reality is that ads are still being served to bots instead of humans. Given the pervasive nature of digital ad fraud and the speed at which fraudsters evolve their techniques, advertisers are increasingly scrutinising their budgets and partners more closely. This has led to an increased lack of trust in the industry, threatening the relationship between buyers and sellers, and potentially the future of online advertising. I caught up with Smart’s Traffic Quality Manager, Agata Brodniewska, to have her thoughts on the subject. NP: What do you think the industry should be looking out for in terms of ad fraud in 2019? AB: Mobile will be the next battleground for ad fraud. Last November, IAB released the draft version standard of ads.txt for in app. Hence, the big move would be for publishers to host the files and identify fake spoofed apps that are currently rampant in the real-time bidding (RTB) ecosystem. NP: A lot of buzz has been devoted to blockchain in the industry over the last year, where does Blockchain really stand today. Is it living up to the hype? AB: While it has great potential, blockchain technology development is still in its early days. Ideally, the objective is to apply blockchain technology in a way that’s accessible to all industry players (as with the example of our adschain project with S4M, Dentsu Aegis Network, Futurs.io and Mondadori MediaConnect). Adschain has a less complicated way of authenticating the payment pass and securing the payment chain without changing the functionality of the RTB engine on both the buy and sell sides. OpenRTB 3.0 addresses ad fraud to an extent but it still needs to be ubiquitous, hence we can expect to see more innovative applications of blockchain projects and technology this year. Our challenge with adschain is that the industry needs to find a balance between an easy to implement platform or feature while ensuring the best level of security possible. NP: What about ads.cert, what has been the uptake so far? AB: Ads.cert is only available on OpenRTB 3.0 (it existed as a draft right up till September last year). The industry is still having a wait-and-see approach as upgrading to OpenRTB 3.0 requires a drastic overhaul of their RTB engine. We don’t expect to see wide industry adoption of ads.cert before the end of 2019. The responsibility is now being shifted to publishers as they start adopting third party tools (e.g. fraudlogix, IAS). This is particularly the case for PMP deals to help ensure brand safety in direct campaigns. NP: What are your thoughts on ads.txt, as more than a year has gone by since its roll-out? AB: Frankly, it’s still a work in progress. Smart is continuing its efforts to advocate ads.txt adoption, 97% of our publishers are compliant so far, and almost 100% of our revenue is ads.txt-compliant. While we’re closely following IAB’s standards, certain inventories can be considered non-compliant (though not necessarily fraudulent) and could still be transmitted by other players. Unfortunately, this is a global problem. Certain publishers may think that they have responded to the strict criteria, but are not quite doing so, therefore still leaving the door open to issues like domain spoofing (as with the case of Closer magazine). At the end of the day, it’s not going to do them any justice. Respecting the IAB norms isn’t as straightforward, since common errors include incorrect naming of the ads.txt file, wrong declaration of the ads.txt file in the root domain and SSL compatibility. Some of these things are fairly basic but are common nonetheless. NP: How do you think trust can be regained in the industry? AB: There needs to be greater accountability on the supply-side, that’s why it’s important for publishers to inspire confidence in buyers by being more selective and avoiding overexposure. 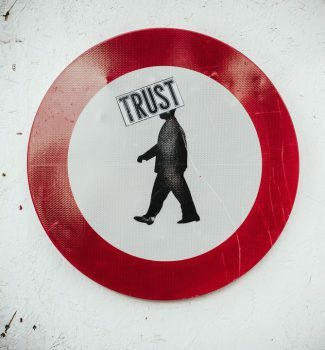 Ultimately, trust is a two-way street and Smart believes in serving both sides on this front: a) by helping publishers fight spoofing and b) by offering verified inventory to DSPs, while they can choose to filter out appropriately via authorized tools. This is a good way for both sides to share responsibility and rebuild trust.